Today, AP Physics 2 students start an extended lab to model the characteristics that determine the capacitance of a parallel plate capacitance. Before they can do that, they need a way to measure the capacitance of a capacitor. 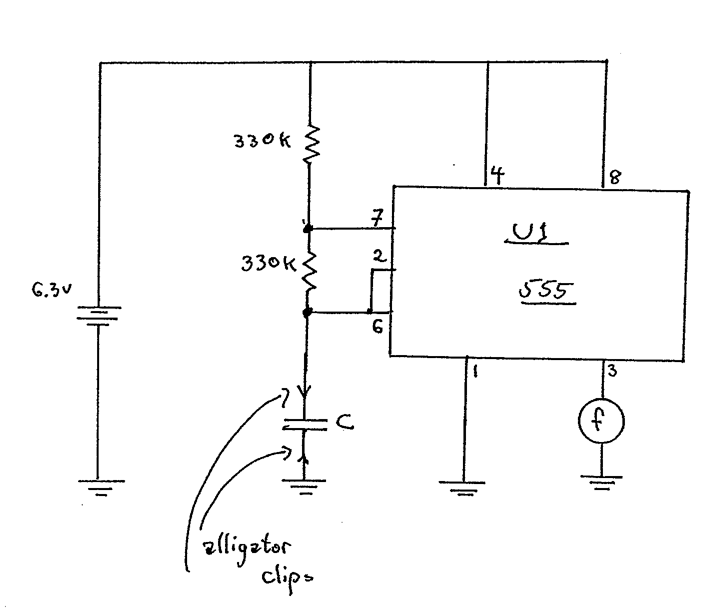 I shared with students a simple circuit I saw at the local AP Summer Institute from Patrick Polley that produces a signal whose period is proportional to the capacitance of the capacitor. For know student will treat this circuit as a black box; in the next unit, they will understand how it works. Students needed some time to brush up on their breadboard and circuits skills. So, they only had time to build the circuit not use it. We will build it again tomorrow!